One of the workers behind the scenes at this year’s US Go Congress is US Open and US Open Masters Tournament Director Matthew Hershberger. 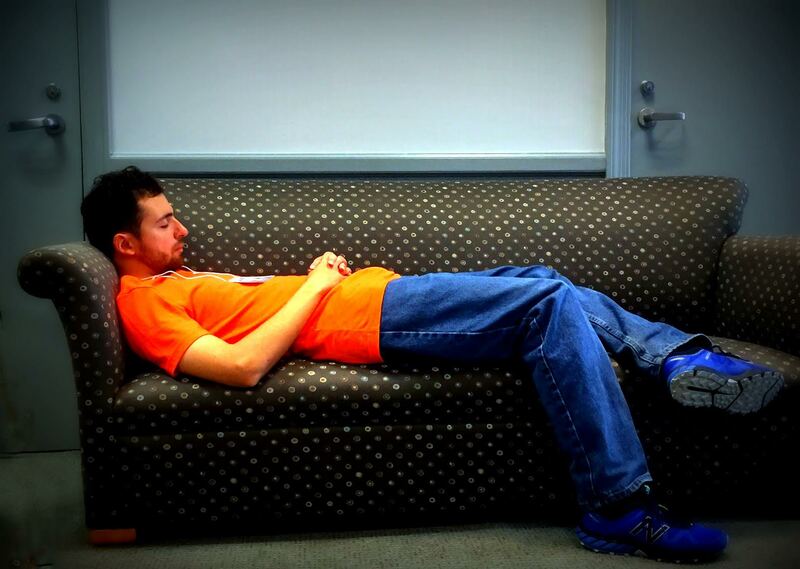 Often working until the wee hours of the morning to prepare the next day’s pairings and then working through the afternoons to pair the US Open Masters tournament that evening, Hershberger pairs over 200 games per day. He doesn’t remember when he first learned about go, since there were a lot of strategy games around his house growing up. Then he discovered Hikaru No Go. 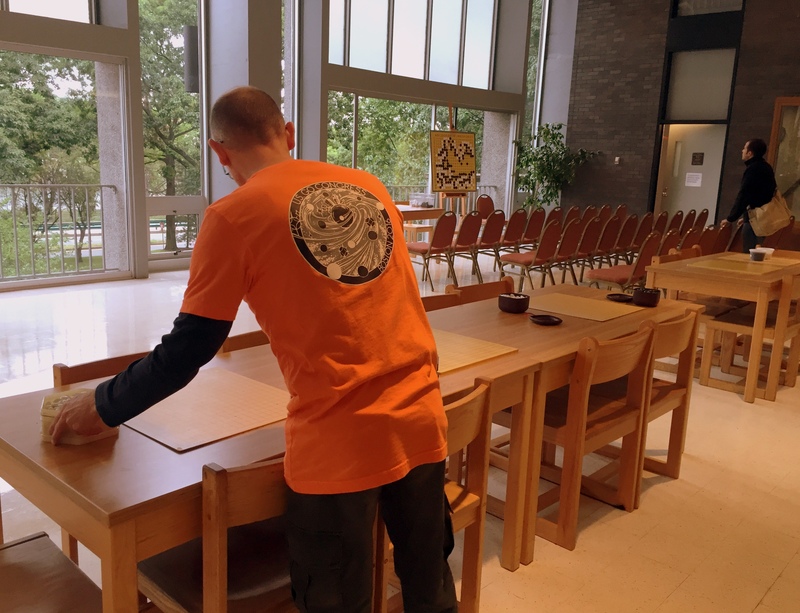 “It was a bit of a feedback loop,” Matthew says, “I started reading Hikaru No Go because I was interested in go, then that made me realize that I could actually learn and play online.” His first Go Congress was the European Go Congress in Finland, and then he ran his own Congress in 2014 in New York City. 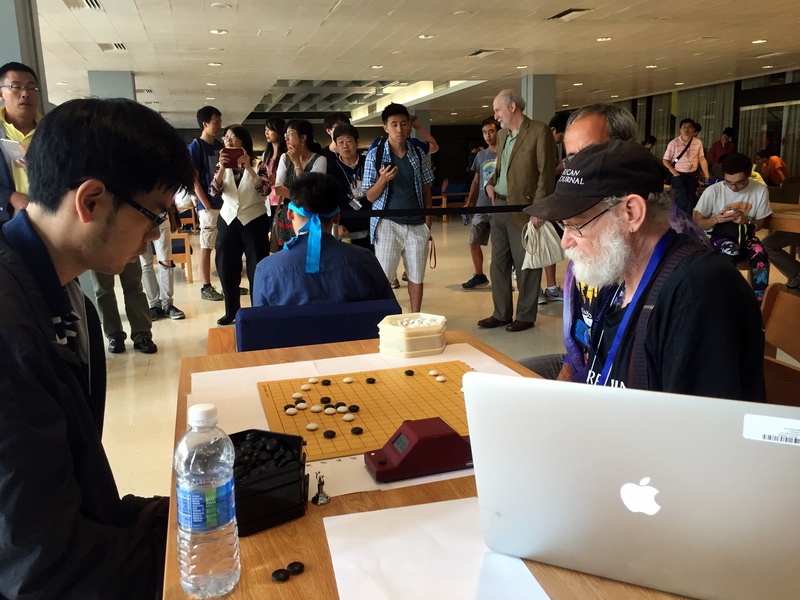 He enjoys tournament play the best because of the ability to completely focus on go without distraction. This led him to get some experience running local tournaments, and now a local in Boston himself, he stepped up to the plate when the 2016 Boston team was looking for a US Open director. 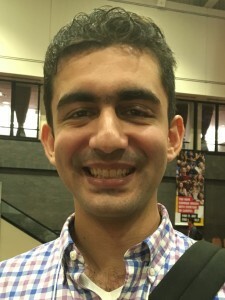 His calm and congenial manner mask how much work he successfully completes on a day to day basis here at Go Congress, managing over 400 go players in competition for some of the US Go community’s top prizes. 10-year old Ary Cheng 4d (r) swept the Junior Division Finals to defend his Redmond Cup title. Despite falling to 12-year old Luoyi Yang 4d (l) in the preliminaries, Cheng bounced back in the finals, seemingly unfazed by his opponent’s strength. In game 1, Cheng utilized the slightest bit of aji in a corner to start a large ko, after which he was able to kill a group on the side and cruise to a victory. 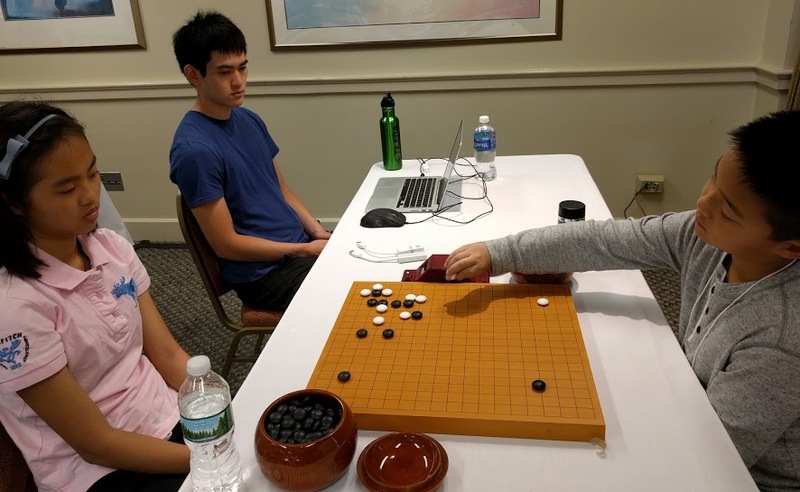 Yang fought back in game 2, however, with a huge fight developing in the center of the board as Cheng aggressively tried to kill a dragon. While there was a decisive opportunity to launch a counterattack and seal the game, Yang, perhaps slightly fatigued by jet lag, having arrived at Congress from China just one day before the first match, made a crucial mistake during byo-yomi giving Cheng the chance to close out the series. Both players will receive trophies at the banquet at the conclusion of Congress, with Cheng receiving $300, and Yang receiving $200. In the Senior Division, 16-year old Albert Yen 7d is intent on defending his title. Yen stumbled in game 1, after making a severe miscalculation early in the game. 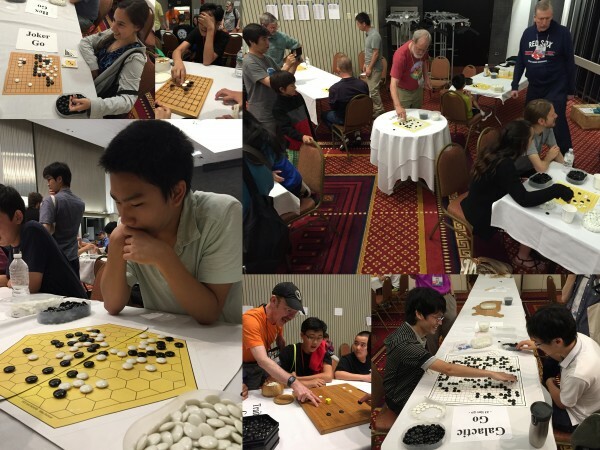 His opponent, 14-year old Jeremy Chiu 6d, capitalized immediately on the error to kill a large group and essentially end the game. Switching his strategy to a moyo-based opening in game 2, Yen was able to take a territorial lead after Chiu made a slow move when invading Yen’s framework. Game 3 will occur tomorrow, 8/4, at 3 pm EDT, and will be broadcast live on KGS, Youtube, and Twitch with commentary by Gansheng Shi 1p and Andrew Lu 7d. Videos of the earlier matches are below. The Redmond Cup is a premier youth tournament named after Michael Redmond 9p for dan players under the age of 18. Players compete in an online preliminary tournament in April to determine two finalists in both a Junior (under 13) and Senior (under 18) division. Finalists are given a free trip to the US Go Congress to compete in a best-of-three finals. -EJ Special Report by Justin Teng. Photo by Paul Barchilon. Monday was the usual non-stop super busy day for the E-Journal staff, with morning rounds from 9a-1p, evening rounds from 7p-11p and the usual “stuff as assigned” in between. For many years I’ve been one of the handful of top-board game recorders at the morning US Open Masters games, but this year we have a crew of five recorders, so I’ve been managing the recording team, which is great, but to be honest I was missing game recording. 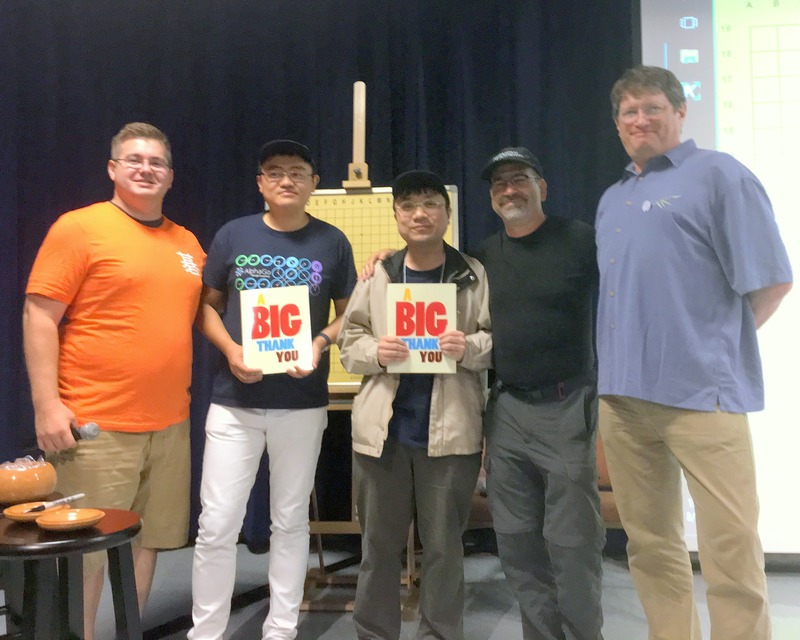 So when I was asked to be the game recorder for the Blind Go exhibition match Monday afternoon between Bao Yun 7d and Eric Lui 1p (apparently I have established a reputation for being good at it, especially after a Chinese article was published last year), I was both thrilled and honored. Bao Yun is famous for setting the world record for playing and winning five simultaneous games while blindfolded. As experienced as I am at recording games, I’ve never had to call out the move coordinates to the players before. Turns out it’s not as easy as you might think. 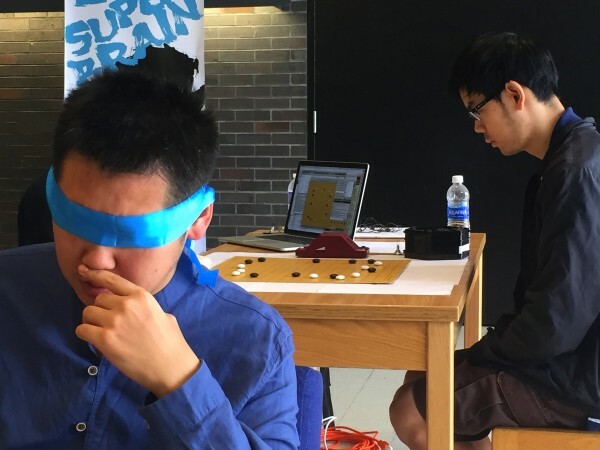 Game recording is easy — you just click the mouse in the same location that the players place a stone, but for this game I had to carefully check the coordinates, recheck to be sure and then check once more to be absolutely certain before calling them out so that Bao Yun, sitting next to me with a bright blue blindfold, could consider his move. It felt to me like Eric Lui had a strategy in mind to try and trip up Bao Yun. It was quite impressive to be sitting at the same table with them both, Bao Yun blindfolded and with his back to us. He’d call out the coordinates of the move he wanted to play, and I’d place it on the board for Eric. Eric would play his move, and I’d call out the coordinates for Bao Yun. I also pressed the clock for Bao Yun and would occasionally call out the remaining time. Of course, the Ing clocks called out the time once we got into byo-yomi. Impressively, the game went all the way to counting, including filling all the dame. Mingjiu Jiang 7p was across the large open room giving a blow by blow commentary for a good size audience of Go Congress attendees, but far enough away that he was out of our earshot. In the end, Eric managed to win by a small margin. Though apparently we forgot to announce the ruleset to be used, which sparked a brief discussion as to the exact score, though the one point difference would not have changed the result. Black won by 5.5 by AGA counting. Click here to download the game record. Special thanks to both Peter Armenia and Peter Gousios for helping relay and verifying the coordinates for my fading hearing in the loud open room. A highlight of the US Go Congress is the teacher training program. 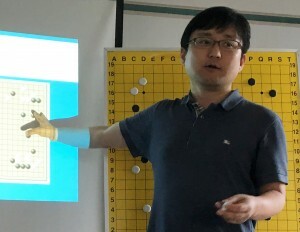 At Myungwan Kim 9p’s Tuesday afternoon lecture on teaching opening theory, Kim (right) said that one of the most important things players need to develop is evaluation, both global (whole board) and local (small area) evaluation. “If you are winning globally, or if you are weak locally, how should you play?” he asked the crowd attending the teaching seminar. “Defensive,” he told us after we shouted out a few answers. He also shared a mathematical approach to deciding between invading a territory or reducing it from the outside, in which the player calculates how many points he or she can let the opponent have and still win. If the opponent will make too many, invade. Otherwise, play from the outside. “That’s how you will find exactly how Lee Sedol will play,” explains Kim, “It’s not that difficult. But if you don’t have this type of theory, how can you find what he played? It’s way more difficult.” He also had something to say about losing stones. “The difference between sacrifice and giving up is whether you planned it or not,” he argued, getting a laugh from the crowd. 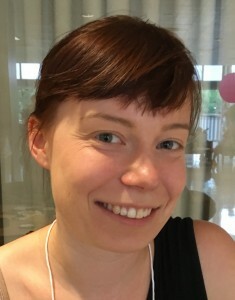 Kim’s next teaching lecture is on Thursday, 8/4, at 1pm. 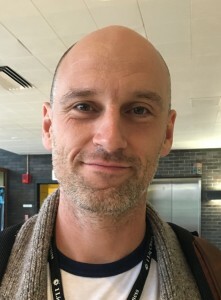 Antoine Fenech of Strasbourg, France, came to the US Go Congress specifically to exchange teaching ideas with American go clubs and for the seminars for go teachers. Kim’s Tuesday talk was Fenech’s first teaching lesson. “We don’t have this in Europe,” he said afterwards. 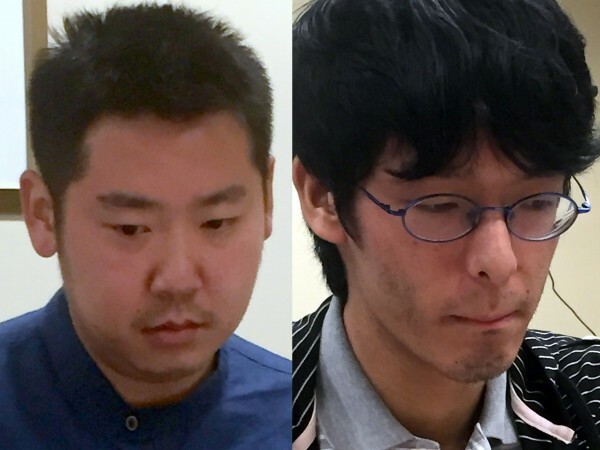 Fenech (left) is a middle school math teacher who’s also a 5 dan go player. He runs programs in 10 primary schools in the city and teaches kids from 6-13 years old, a program started by his father in 1982, and responsible for training up many strong players. Fenech himself is a product of that program. “The most important thing is that the kids have fun” so that they come back, he said. 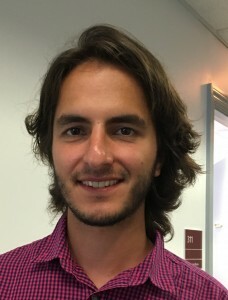 Asked whether there’s a secret to teaching go he’d like to share with teachers in America, Fenech said that “We have a method to teach go very fast. In like five minutes, they can learn the real go game. And then after that, we don’t need to talk to them anymore, they can just play with each other. I have some kids who play every week and who just play together and I just taught them for five minutes the first day. If they’re already happy playing a lot with each other, then they don’t need someone to tell them more.” But that doesn’t mean the Strasbourg go program isn’t going to produce strong players. “I have some kids who want to improve, who want to play with me,” Fenech explains. “The new generation, we hope that some of them will become stronger, become the best French players.” The Strasbourg go club also developed a website so that kids can keep playing. And then there were two. Kenryo Ito 1P and Yun Bao 7D are the only undefeated players after five rounds in the US Open Masters. 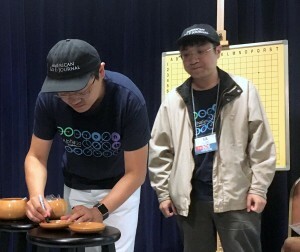 Bao (left) defeated Andy Liu by 2.5 points in a hard-fought Round 5 game Tuesday morning in which Liu had an early advantage but lost it when he mistakenly thought a move was sente. Ito beat Zheng Xiangnan in a Round 5 game that was just 114 moves but ran well into the lunch hour. Ito (right) and Bao will go head to head in Round 6 on Thursday. Complete US Open Masters results and top-board game records here. And click here for the US Open crosstab. US Open Broadcast Schedule: Wednesday is the traditional Day Off, so there will be no live broadcasts. The broadcasts will resume Thursday morning. Click here for the latest crosstabs from the Senior Cup. Click here for the latest crosstabs from the Women’s Tournament. In night two on Monday, 66 players showed up to play a total of 60 games between 7pm and midnight. 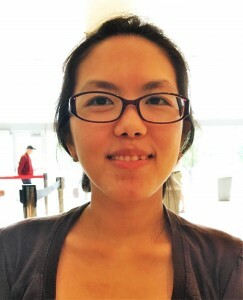 Vo Nhat Minh 2d is the current defending champion at the top of the ladder. 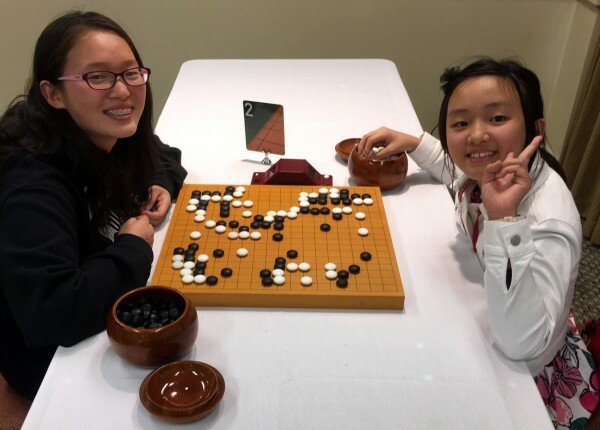 - report by Karoline Li, Congress Tournament Liaison; photos by Chris Garlock except for Under 16 Girls Tournament (bottom right) by photo by Ted Terpstra.